The 36mm vintage Rolex Datejust is one of our favorite watches because it is a very versatile model which was produced in a variety of configurations. The one we’re offering here is a wonderful example of such. It is a reference 16000 with a great mocha-colored dial! 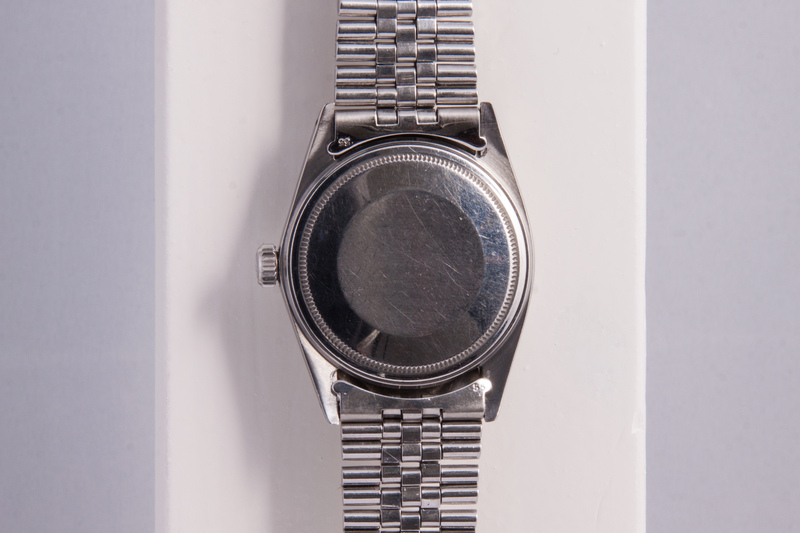 Today dials with color are widely available, but in the 70s and 80s the dials for the Datejust models were mostly silver. 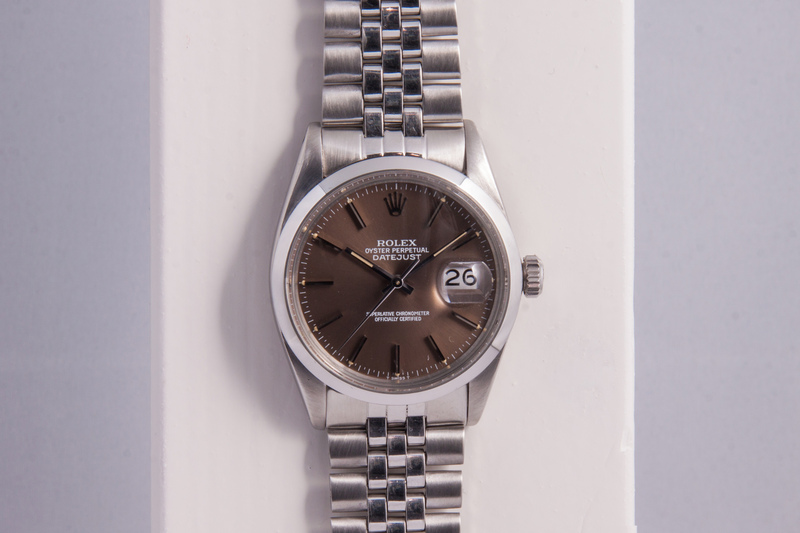 Yet, during the 80s a number of dials with great colors such as blue, brown and black were manufactured by Rolex but this mocha color is one of the more rare ones. The 16000 Datejust is especially recognizable by the smooth bezel. 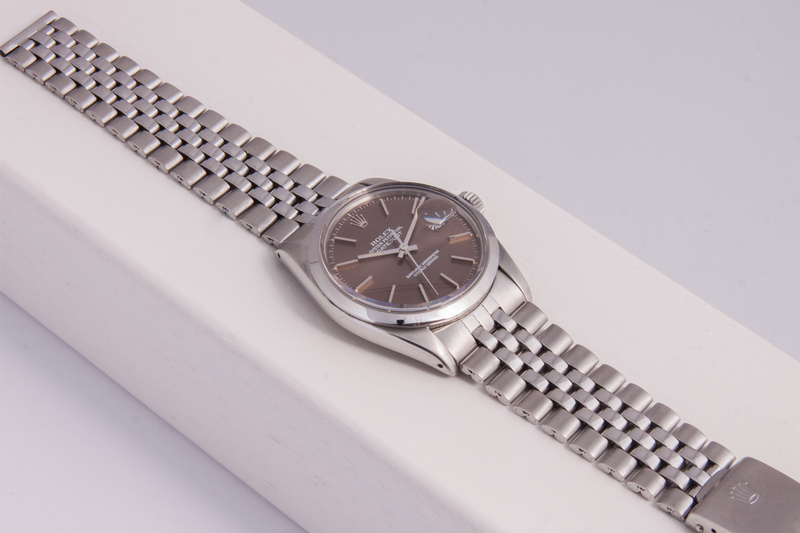 Although the case size of the different vintage Datejust references is always the same (36mm) The 16000 reference always looks slightly larger, this certainly has something to do with the smooth bezel. Worn on the wrist, this Datejust is a feast! Depending on the angle and light, the dial constantly changes color! From dark chocolate to a light shade of mocha and everything in between! In addition, all the Tritium dots and the Tritium inside the hands are in perfect condition and are discolored to a beautiful beige hue. 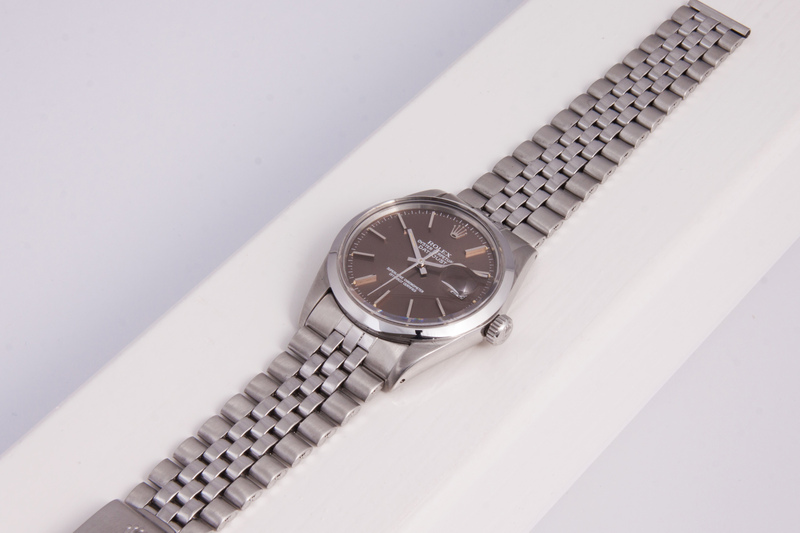 The Datejust is attached to a folded Jubilee bracelet making the watch extremely comfortable to wear. The ‘Mocha’ visited the Rolex Service Center in October of 2016. Here the older, slightly more damaged bezel was replaced with a brand new one. (Receipt and bezel protector available). The Datejust is fully inspected by our watchmakers and comes with a one year warranty.